I blogged about Vapur in my other site. There I wrote about my reason for buying. This thing was not what I had in mind. 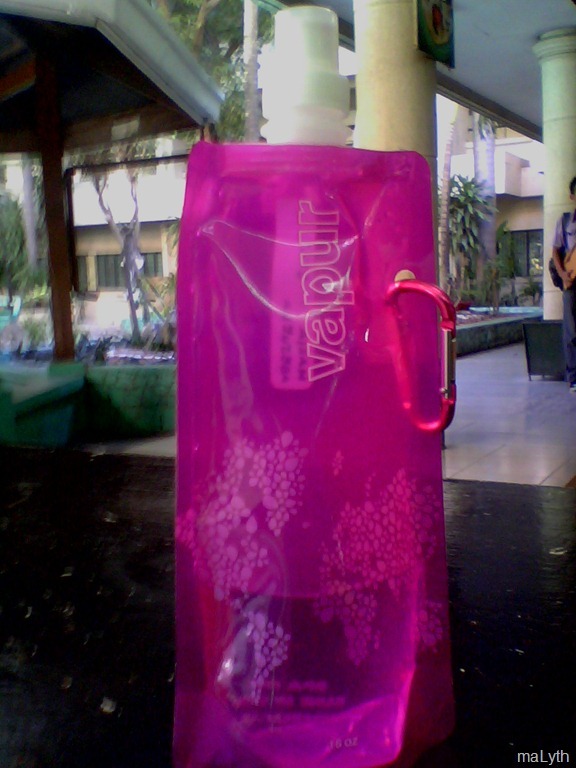 I was there in the mall to buy a water bottle (nothing specific in mind though) but when I saw this Vapur, I was not only attracted to it because of the pink color…but also it is handy and you can simply fold it after use.